Over the past 8 years, I’ve had the pleasure of using a number of telescope mounts for astrophotography. Some of them were substantial imaging platforms that included features such as autoguiding and periodic error correction (PEC), while others simply tracked the night sky at sidereal rate in a compact and portable package. 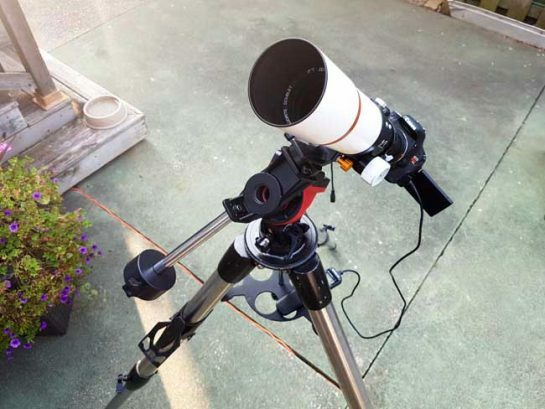 The payload capacity and features of the telescope mounts available today vary, but their level of importance in regards to your overall astrophotography goals remain constant. After many years of enjoying backyard deep sky astrophotography, I can safely tell you that your telescope mount will be the single most important piece of your equipment. 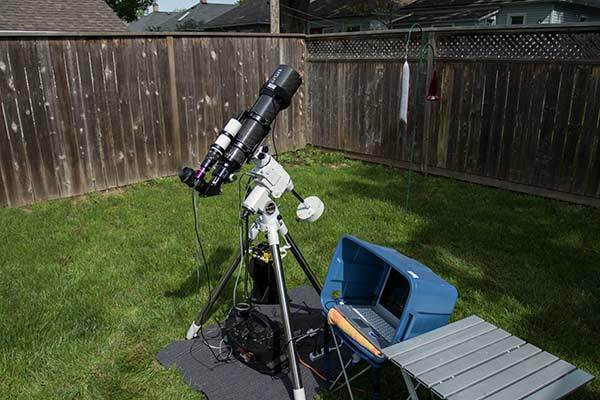 My latest adventures in the backyard have reminded me of the positive impact the right telescope mount can have on your overall imaging experience. In this hobby, the difference between a night of frustration and one of jubilation is often tied to the user experience your equipment provides. Choosing a telescope mount for astrophotography is one of the biggest decisions you’ll have to make in this hobby. With steep price tags and overlapping features between models, it can be hard to make the right decision. So leverage my years of trial and error in this addictive and rewarding hobby we call astrophotography before you pull the trigger on a new mount. In this post, I’ll share what’s worked for me in the past, and my early results using a new intermediate-level telescope mount for astrophotography, the Sky-Watcher EQ6-R Pro. I’ll include the images I’ve captured using this mount so far and specific performance indicators such as my autoguiding graph in PHD2 guiding. I think we can all agree, that if the Earth didn’t rotate, deep sky astrophotography would be a heck of a lot easier. Compensating for the apparent movement of the night sky is why amateur astrophotographers require an equatorial mount to capture images through their telescopes. However, even a small error in tracking accuracy will be “exposed” in a long exposure deep sky image. In terms of astrophotography, the higher in magnification you go with your telescope, the more pronounced this error will be. This is one of several reasons I continuously recommend a wide-field refractor telescope for beginners, as they are the most forgiving in this regard. They offer some of the lowest magnification views of the night sky, which is actually a benefit for many deep sky photography targets. Telescopes with a higher magnification may reveal any drift occurring from the mount. It will show itself in the form of elongated stars. An inaccurate polar alignment or periodic error in the right ascension axis may be the culprit. But enough about the subtleties and joy of troubleshooting tracking issues, for now. The bottom line is, your telescope mount is the foundation of your astrophotography experience and can make or break the quality and consistency of your images. 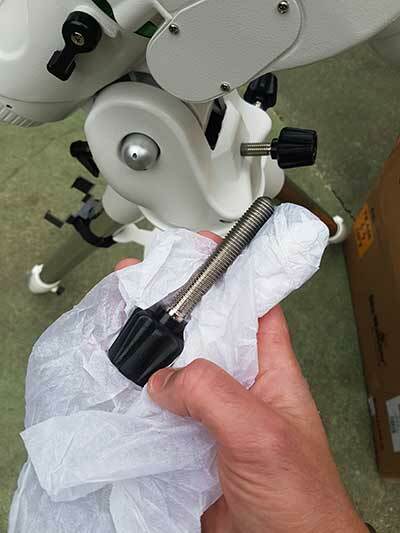 An equatorial telescope mount that provides you with consistent, reliable results night in and night out can make the difference between a lifelong hobby, and a rotten experience that’s discouraging enough to make you want to put the telescope away for good. I’d rather you take the first road mentioned, and that is the mindset behind this article. 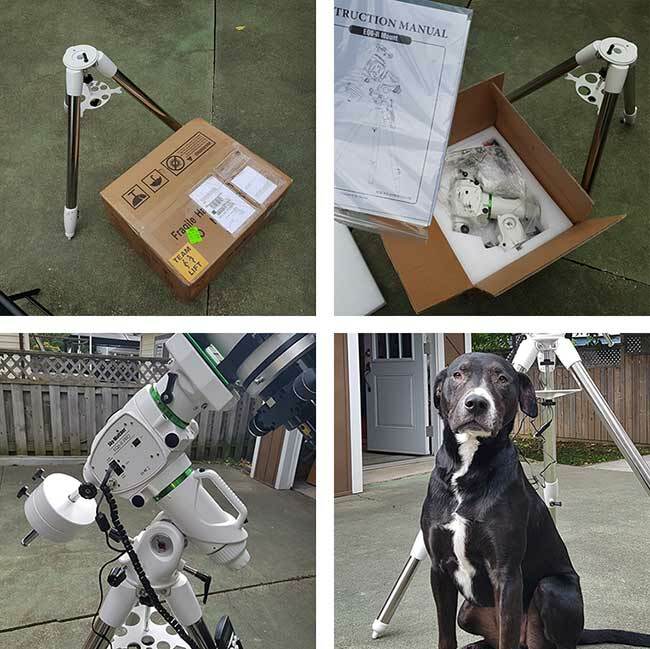 When it comes to selecting your first telescope mount for astrophotography (or upgrading your existing mount), I’d like to offer the following advice. Plan for the future. This isn’t groundbreaking advice and I am sure you’ve heard this mentioned before – but it’s the “why” that I am here to explain. It’s easy to get caught up in the purchase of a new telescope for astrophotography and think “this is the telescope for me, the only one I’ll ever need”. This is how I felt about my Explore Scientific ED102 refractor. At the time, it was at the far reaches of my budget, and I believed that it would be the last telescope I’d ever buy. I thought, as long as my current telescope mount could carry this 7-lb carbon fiber triplet, with my camera and accessories attached, I’d never need to upgrade. The truth is, I could have stuck with this combination for life – but then AstroBackyard happened. What I mean by my previous statement is, I knew my YouTube channel and blog would get pretty stagnant if I continued to talk about the same equipment over and over again. Thankfully, I met Steve from Ontario Telescope in 2016, and the rest is history. (You can listen to Steve and talk astrophotography on the AstroBackyard Podcast). For the first 5 years of my DSLR astrophotography experience, I was more than happy with using an 80mm refractor and a beginner level telescope mount. If you own a compact telescope (like the William Optics Z61 pictured below) that does not require a heavy duty mount, you may never feel the need to upgrade. It means that have better self-control than most. The problem is, deep sky astrophotography is an addiction – and upgrading to a larger telescope down the road is a common occurrence. 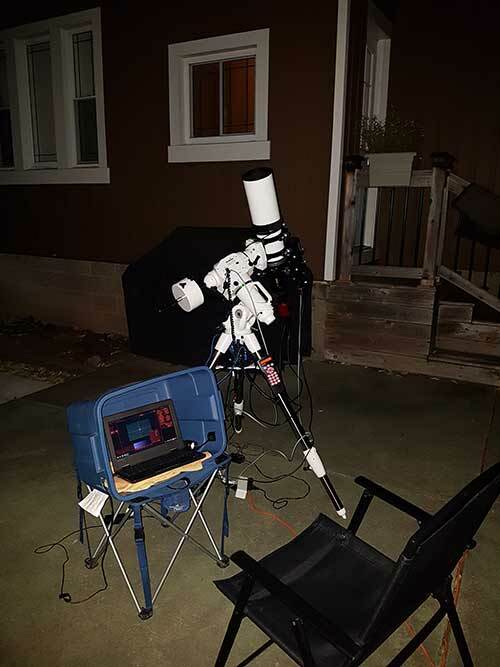 The setup pictured below includes the highly portable iOptron SkyGuider Pro, which is not only an incredible beginner-friendly mount – but a real performer. 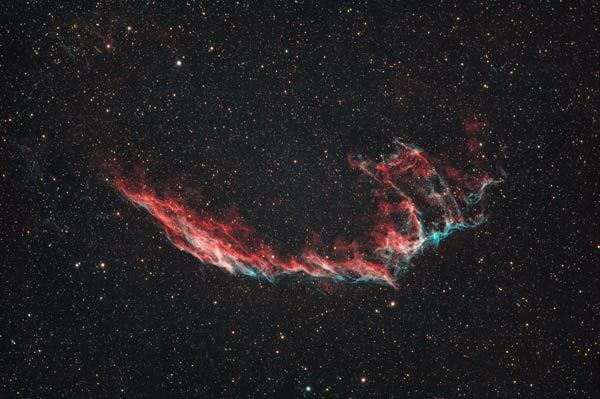 It’s also a “gateway mount” into the realm of deep sky astrophotography I currently live in. Suddenly, the 11-lb payload capacity of your modest mount can no longer produce sharp images with your new telescope because it’s too heavy. That doesn’t mean you won’t use it anymore, but it will limit the types of telescopes you can mount to it. On the other hand, if you “over-mount” from the beginning, you’ll have more than enough stability to run your current telescope kit, with lots of room to grow in the future. Here’s a statement you may have heard before, that I have found to be true. For deep sky astrophotography, you’ll want your telescope mount to have a payload capacity that is double the weight of your imaging gear. This may seem a little excessive, and there is certainly some wiggle room here. But in general, it’s a great rule of thumb. I’ll be the first to admit that I may be a little biased towards Sky-Watcher mounts, but for good reason. Although I have spent some serious time with iOptron and Celestron mounts in the past, none compare to the mileage I’ve put on my Sky-Watcher HEQ5 Pro. I love this old mount, rusty counterweights and all. It’s been repeatedly packed and unpacked from closets, garages, and trunks (and has the battle scars to prove it). It’s been everywhere from the dark skies of Cherry Springs to the dark corners of our basement apartment closet. How could I not hold a special place in my heart for a mount that has been the cornerstone of my hobby for so many years? For this reason, I got a little extra excited when Sky-Watcher reached out to me about a snow-white EQ6-R Pro. I believe my years of use with the HEQ5 accelerated my comfort level and enjoyment with the EQ6-R Pro early on. The SynScan hand controller system and the overall user experience of the mount all felt very familiar to me. Rudy kept a close eye on the giant boxes with “new smells” I opened on my backyard patio. In total, the shipment weighed 90 lbs. It was covered in “team-lift” stickers to avoid a lawsuit. My team consisted of myself, adrenaline, and black Labrador retriever. The feeling of unboxing a new piece of astrophotography gear (especially a new mount) is an unforgettable experience. I didn’t film an unboxing video this time, but I did snap a few pictures. The first and most obvious thing I noticed while unpacking the Sky-Watcher EQ6-Pro was how heavy it was. In the world of equatorial mounts, that’s a very good thing. Stability is everything when your tracking objects that live in deep space, and the EQ6-R is rock-solid. Secondly, I noticed the green accents on the setting circles that match the new branding of the Esprit 100ED – this is less important but appreciated nonetheless. A complete review of the Sky-Watcher EQ6-R Pro will take time and more experience to build properly. At this stage, I simply want to share my first impressions with the mount. I will say this, I can’t remember the last time I was able to unbox a piece of astrophotography gear and produce an amazing deep sky image on the same day. The fact that this is an advanced equatorial telescope mount, makes this statement even more impressive. If my early experiences with the EQ6-R are any indication of what I can expect (2 nights in), this should be a lot of fun. The Sky-Watcher EQ6-R arrived at my door on Friday, and it sat in the dining room hallway until Saturday. With clear skies in the forecast for Saturday night, I was given the rare opportunity to try out a new piece of gear right away. (Longtime amateur astronomers and photographers know that new equipment is usually met with a week of cloud cover, at a minimum). Everything was neatly packed in the box with a custom foam insert that cradled the head of the EQ6-R mount. I’ll keep this packaging for transporting the mount in the future, to take advantage of this custom fitted padding. The foam can be used in a large carry-case when I decide to upgrade from a cardboard box. Over the years, I’ve seen a wide variety of instruction manuals and spec sheets that accompany new astro-gear. Some have been nothing more than a vague description of the product with poor spelling – and a link to a website for more info. This was not the case with the Sky-Watcher EQ6-R. The manual is an in-depth, premium resource, complete with detailed diagrams and well-written dialogue. Sometimes, it’s the little things that make the difference. After locking the mount head into place on the tripod and securing the spreader/eyepiece tray, I corrected the latitude of the polar axis for my location. The dial is easy to read and responsive. It wasn’t much of an adjustment from the default position of about 45 degrees to 43 here in Ontario, Canada. It’s impossible to ignore the impressive upgrades made to the alt-az bolts on the EQ6-R. Going from the rather dinky bolts on my old HEQ5 to the robust handles on the EQ6-R was quite the upgrade. The focus put into this seemingly underrated update is surely the result of user feedback over the years, and much appreciated from someone who’s spent a lot of time setting up telescope mounts. The same goes for the built-in heavy-duty handle on the mount head. For those of you that lug a complete rig across the patio as I do, you’ll wonder how you ever got by without this. I can get one hand between the mount head rod and spreader, and the other with a tight grip on the handle. With the Esprit 100ED APO and astrography accessories attached, it’s a heavy load. But at least I can carry it more confidently with the integrated handle. With polar alignment being so critical for success, it’s a shame when a telescope mount either doesn’t include a polar scope, or it feels like an afterthought. I’ve always enjoyed the practicality of a built-in polar scope, and making adjustments to the HEQ5 was a breeze. I am happy to report that the polar alignment scope on the EQ6-R is easier to use than ever. The polar finder reticle is illuminated red when the mount is one, providing the perfect amount of light to see the clock and the Polaris at the same time. The biggest improvement to this process is the previously mentioned alt-az bolt upgrades which allow you to make smooth, precise adjustments. The new and improved SynScan system is a pleasure to use, and I still enjoy the manual process of the 3-star alignment. Once your polar alignment has been set correctly, it’s simply a matter of slewing to 3 bright stars in your window of sky to quickly train the mount to point accurately. I won’t get into exact arc-minutes of precision, but let’s just say my second alignment star appears in my imaging telescope (at 500mm) every time. After star 3, I can be confident that I’ll be pointing directly at my faint deep sky target with minimal framing adjustment before shooting. The mount is quiet, even when slewing at top speed. It’s a high pitched hum that reminds me of the HEQ5 motor, but refined. It’s certainly not loud enough to wake up the neighbors. The new and improved SynScan hand controller (Version 5) is connected via USB. This makes updating the hand controller firmware much easier using your PC. 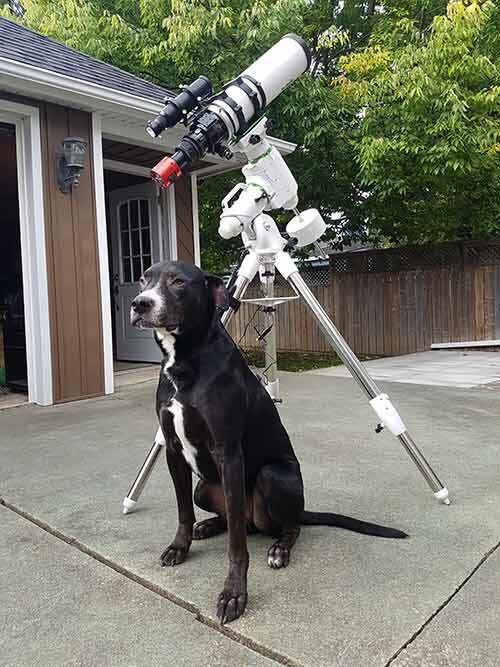 When I have enough information and experience with the Sky-Watcher EQ6-R, I’ll provide a detailed review of the mount that includes the specific traits of the hardware including any backlash, and any quirks that come up with different telescopes riding up top. For now, I’ll share 2 the two images that were captured on nights 1 and 2 using the EQ6-R with an Esprit 100ED telescope. For both images, the ST-4 autoguiding port on the EQ6-R was used to improve the tracking of my deep sky targets. At this time, I have not attempted any unguided images with the EQ6-R, although that would be an interesting experiment. 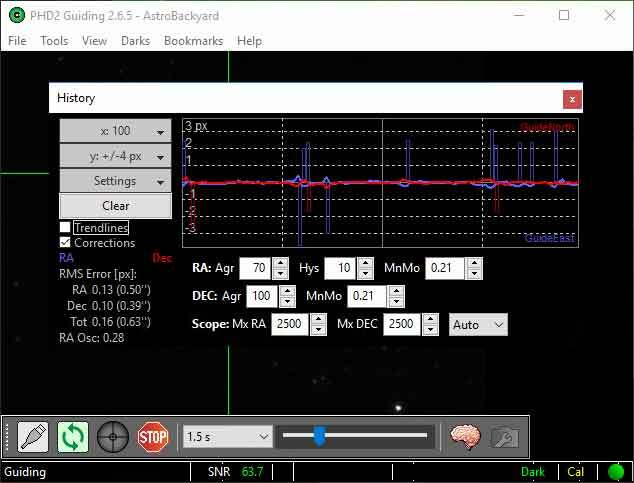 To autoguide, I leverage the free PHD2 guiding software with my compact guide scope package that includes an Altair GPCAM2 camera and StarField 50mm guide scope. As you can imagine, I am quite impressed with the performance and user-experience the Sky-Watcher EQR-6 telescope mount has provided thus far. 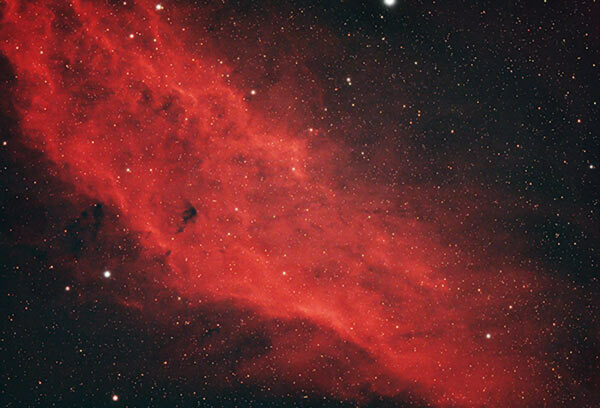 For the style of deep sky astrophotography I enjoy, it appears to be a great solution and upgrade from the HEQ5. The wide-field Sky-Watcher Esprit 100ED is a perfect match for this mount, and I’m not just talking about the color scheme. For an idea of the different types of telescopes, you could potentially mount to the EQ6-R, have a look at the AstroBackyard Facebook page. The announcement of this GoTo mount stirred up many backyard images of the EQ6-R in a variety of configurations. I am very grateful to be in a position to be reviewing and enjoying astrophotography equipment in my backyard. Some tests span the course of multiple nights and even months. The steeper the learning curve, and the more hiccups that occur along the way – the longer it takes to share organized content and results. With that in mind, the Sky-Watcher EQ6-R Pro arrived at my home 1 week ago today. Regardless of my previous experience using my old HEQ5 and equatorial mounts in general, this is a pretty impressive testament to the painless user experience this intermediate level equatorial mount offers. The Sky-Watcher EQ6-R offers a good balance of affordability and performance/payload capacity. 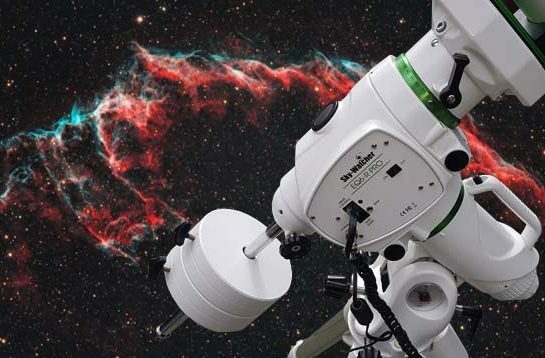 It’s an attractive option for anyone using a modest-sized refractor such as the Esprit 100ED and leaves room to grow into the future. To stay up to date with AstroBackyard and my latest backyard adventures with the Sky-Watcher EQ6-R and everything else I’m up to, please subscribe to my e-mail newsletter. 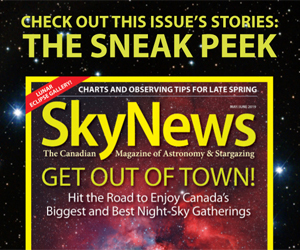 I’d like to thank Kevin at Sky-Watcher USA for this incredible opportunity. I think he finally got tired of seeing me drag that old HEQ5 out of the garage! 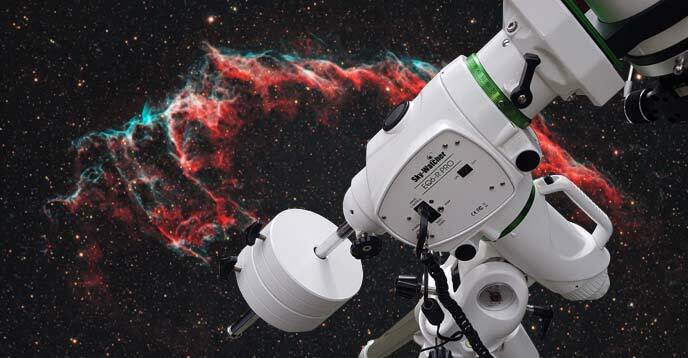 If you’re interested in the Sky-Watcher EQ6-R Pro mount, you can order online from High Point Scientific.